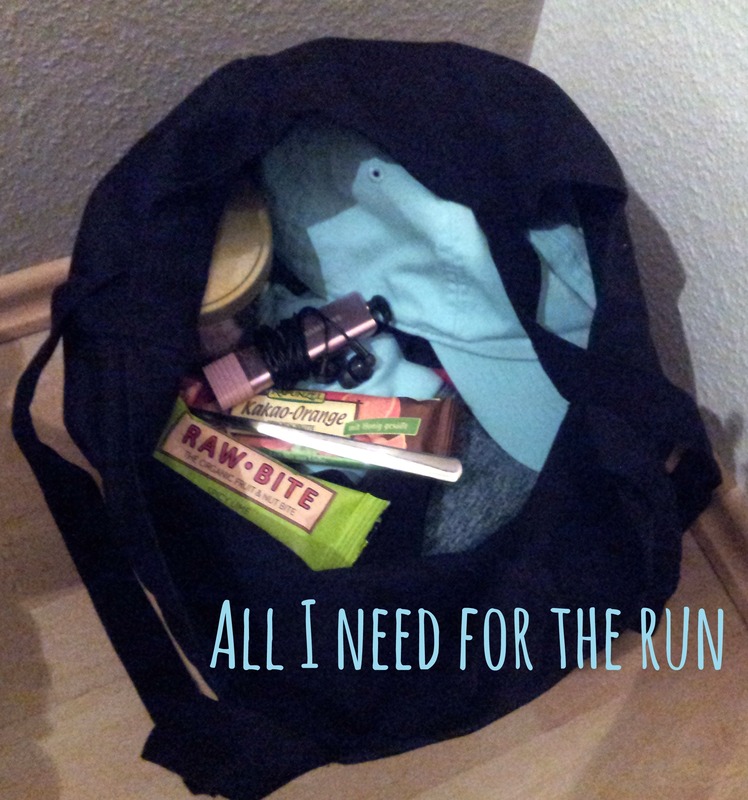 This is officially going to be my last post about half-marathon prep as prep is officially over now! We’re heading out to Vienna this afternoon! I am so excited!!! Thanks again for your music tips. I added some of yours to my playlist! After my little panick attack yesterday about not being prepared at all I sat down, printed all the information and scanned the important content. Apparently I just have to go to a sports fair between 10 am – 7 pm tomorrow, give them my official registration confirmation and then collect my stuff aka bib number, gym bag (yes, you need a special gym bag with your bib number on it to store your stuff during the race) and whatever else they are going to give you! I already told you how much they speak about disqualification. The most important thing is to really keep your assigned bib number. They act as if 2 out of 3 runner would collapse unconscious and if you changed numbers with anyone they wouldn’t be able to resuscitate you. Sounds familiar in a strange way! I get the creepy feeling that I didn’t register for a half but for a perfidiously staged version of The Hunger Games!!! Those are odds that would definitely not turn out in my favor! And just because this meme is so damn funny! Now back to business now! Yesterday I packed my bags. Sorry for the bad lighting. It was lateish! 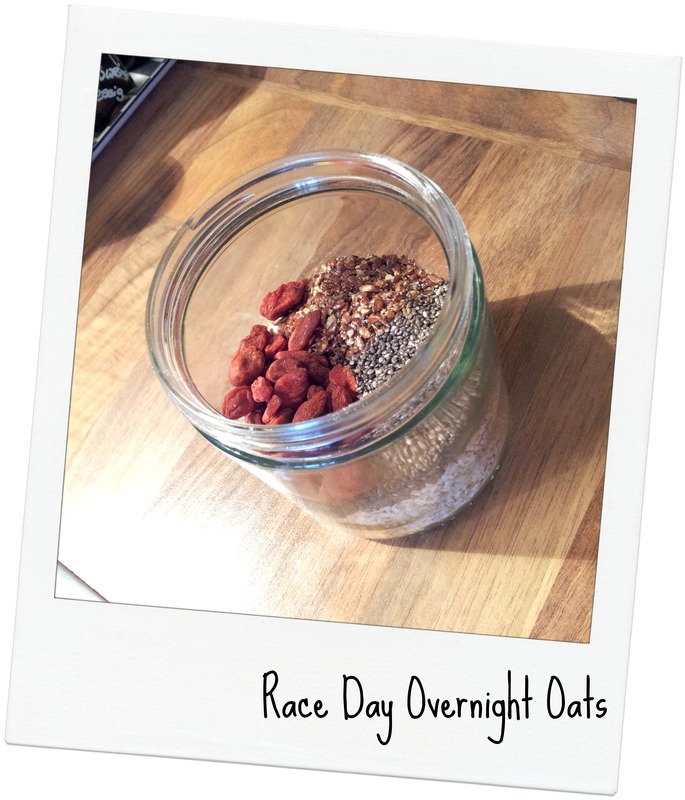 And for breakfast I packed overnight oats with shredded coconut, ground flaxseed, chai seed and goji berries. Mid-race snack will be a Spicy Lime Raw Bite. It’s soft so I can chew it whilst running and not too sweet to make me nauseous! Should do it! And don’t tell me I’ll sweat it out anyway because I just don’t! Have you ever seen me in a sauna? People make fun of me! I’m the girl that doesn’t sweat! Or at least not for the first 10 minutes. Not kidding! Okay my dear friends. let’s see how things turn out. Unfortunately I am a snail. I am so damn slow that I haven’t set a time goal as I see no reason to do so. My only goal is to finish as best as I can on Sunday. As I know I can ran 21k I have no other feeling but excitement regarding the race. You’re very welcome to stalk my Intagram of course. Any last tips how to cope with the water intake / pee problem? Or is that just me??? Good luck, hope your race is as good as your food! Thank you for the wishes :-)But I wouldn’t recommend this raw bite flavor for a run. It burned my already tender mouth! I always have to pee – if I have a second cup of coffee I’m done … not too much sitting for me, and I can always hit the porta-potty before a race just one-more-time … ugh! What a pain! Good luck to you – can’t wait to read the report! Good luck, Juli! Sending you best wishes from Australia- you’re going to do great! …..it really does sound the hunger games. I’ve never thought of it like that! And coffee…how ironic its a diuretic too! AHHH how exciting! I am sure you are going to do great! Good luck! Just enjoy it, and at the end of the day, it is just putting one foot in front of the other 🙂 Have fun! 🙂 Thank you so much! I really enjoyed the race! I thought of your words while I was waiting for the start. It’s just putting one foot in front of the other. So true!